APPROVED U.S. 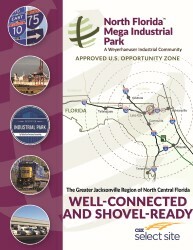 OPPORTUNITY ZONE IN THE GREATER JACKSONVILLE REGION OF NORTH CENTRAL FLORIDA. Situated within 10 miles of two interstates and two Class I railroads, North Florida Mega Industrial Park presents an outstanding location. Adjacent to Florida Gateway College and close to University of Florida and Santa Fe College, North Florida Mega Industrial Park offers access to renowned educational institutions. 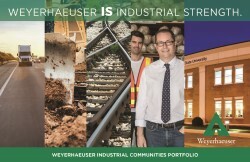 North Florida Mega Industrial Park is being developed by Weyerhaeuser, one of the world’s largest private owners of timberlands.